**Your registration fee includes a copy of Investing in People (3rd ed., 2019). In this program, senior-level HR professionals will learn to assess the financial impacts of strategically-focused HR initiatives in areas such as staffing, training, employee health and wellness, attitudes and engagement, and work-life programs. Participants will explore strategies for communicating data-driven findings to executives and senior-level peers and encourage people investments that lead to better organizational outcomes. Wayne F. Cascio, Ph.D., is a distinguished university professor and the Robert H. Reynolds chair in global leadership at the University of Colorado-Denver. He has served in leadership positions in industry organizations, including as president of the Society for Industrial and Organizational Psychology, chair of the SHRM Foundation Board of Directors, chair of the HR Division of the Academy of Management and as a member of the Academy of Management’s Board of Governors. Dr. Cascio is a senior editor of the Journal of World Business. He has authored or edited 27 books on human resource management. He is a two-time winner of the best-paper award from the Academy of Management Executive for his research on downsizing and responsible restructuring. In 1999, he received the Distinguished Career Award from the HR Division of the Academy of Management. He received an honorary doctorate from the University of Geneva in 2004, and in 2008, he was named by the Journal of Management as one of the most influential scholars in management in the past 25 years. The Michael R. Losey Human Resource Research Award was presented to him by the Society for Human Resource Management in 2010, and, in 2013, he received the Distinguished Scientific Contributions Award from the Society for Industrial and Organizational Psychology. From 2011-2013, he served as chair of the U.S. Technical Advisory Group that is developing international standards for the human resources profession. 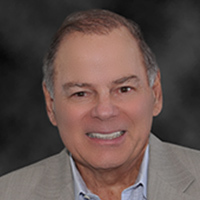 Dr. Cascio has consulted with organizations on six continents and is an elected Fellow of the National Academy of Human Resources, the Academy of Management, the American Psychological Association and the Australian HR Institute. Dr. Cascio earned his bachelor of art’s degree from Holy Cross College, a master’s of arts degree from Emory University and a doctorate in industrial/organizational psychology from the University of Rochester. 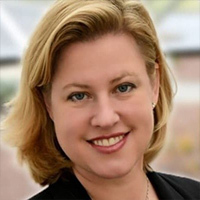 Alexis A. Fink, PhD., has spent 2 decades leading Talent Analytics, Talent Management and large-scale organizational change teams at leading global organizations, currently the Vice President of People Analytics and Workforce Strategy at Facebook and previously at Intel and Microsoft. In her practice, she had addressed leadership assessment and succession planning, sophisticated internal research projects, management development, culture and employee value proposition, employee surveys, acquisition integration, process improvement, and major IT implementations. Across multiple organizations and domain spaces, Alexis has brought a powerful focus on driving efficiency, effectiveness and impact, working integratively with other disciplines to achieve business results. An effective and experienced global organizational leader herself, she has been able to practice what she preaches, building high performance organizations that incorporate professionals from widely diverse backgrounds. Alexis earned her BA in Psychology at DePauw University, and her MS and PhD in Industrial/Organizational Psychology at Old Dominion University. She has served as chair of technical conferences and professional consortia, and is Fellow of the Society for Industrial and Organizational Psychology. In addition to being a leading practitioner, she has approximately 100 publications and professional presentations, and currently serves as practice editor for Industrial and Organizational Psychology: Perspectives on Science and Practice. DR. JOHN BOUDREAU is recognized worldwide for breakthrough research on human capital, talent, and sustainable competitive advantage. Professor Boudreau’s field studies include the future of the global Human Resources profession, HR measurement and analytics, decision-based HR, executive mobility, HR information systems, and organizational staffing and development. Dr. Boudreau has published more than 50 books and articles, and his research has been featured in Harvard Business Review, the Wall Street Journal, Fortune, and Business Week. Professor Boudreau serves as Research Director for USC’s Center for Effective Organizations and is a Professor, Management & Organization at Marshall School of Business. Maximum capacity reached for Investing in People With Data-Driven Solutions. What would you like to do?